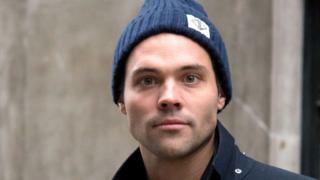 Andy Jordan didn't even have an Instagram account before he started on Made in Chelsea in 2012. "Overnight, there were hundreds of thousands of people watching what I was doing," he says about appearing on the show. He's now got 290,000 followers. "You're like, 'Everyone wants to follow me and talk to me' - that's almost like a drug," he tells the Victoria Derbyshire programme and Panorama. Selling things he didn't believe in was the last straw. He says he got to the point where he "just turned into a ghost... I didn't even care if I got hit by a bus". Andy was promoting items you see on many Instagram influencers' accounts, such as teeth-whitening products and protein supplements. "It's the easiest money I've ever made," he says. "There were a couple that were £500 for a picture - the most would have been about £2,000." He adds: "I just did what I was told... Obviously the management want you to do these things because they make money off it." Andy doesn't go to the gym, but was still asked to advertise a protein supplement. "I was like, 'This is insane', because I didn't work out. My agent was like, 'Well pretend you work out'." It got to the point where Andy went into a gym just to take a photo of the product on the gym equipment. But that's not the weirdest request he's had. "I've been asked to have cosmetic surgery before," he told us. "I've been asked if I'll have liposuction at a particular clinic, and then document about the process." Andy said no to that request. "You just become a puppet... you're literally like the packaging," he says. "I'd lost who I was because everything was directed by someone else." "I genuinely think that people could die as a result of the phenomenon that is social media," he says. "If you're constantly surrounded by a world that's better than you, or looks nicer than you, or has a faster car than you - that's when you suddenly go, 'Wow, I'm useless'." Andy is annoyed at himself "for not fully understanding what I was doing from day one". He still posts on Instagram and still does paid posts - just not for teeth whiteners and protein shakes any more. "At least now if I'm promoting something, it's something that I'm passionate about," he says. But a story he tells shows the effect people like him may have had on other people - even children. "I had a chat with some family friends and I was talking to a child who's seven or eight years old. "I was like... 'That's not a real job'. "That's when I was like, 'Whoa, this culture is really scary'."